Democracy has declined more in Europe than any other region in the world, according to the Economist Intelligence Unit (EIU). Releasing its statistics for the Democracy Index 2018, the EIU noted a "democratic malaise" felt particularly in western Europe, where the state of democracy has declined for a third consecutive year. However, even with a slight increase reported in 2018, eastern Europe has deteriorated the most since the EIU started its Democracy Index in 2006. Despite the reported "democratic malaise," countries in Europe still dominated the top of the table globally with Norway in first place, and Iceland and Sweden in second and third places respectively. Russia was ranked the least democratic country in Europe, reaching 144th place on the global chart, below countries such as Afghanistan and Zimbabwe. Western Europe features heavily with countries that the report considers to be "full democracies," whereas Europe's east fails to achieve even one of these, dominating instead the "flawed democracy" category. In which countries were the most notable drops in scores between 2017-2018? There were a number of noticeable drops across Europe in the EIU's rankings in 2018, including in Austria, Georgia, Hungary, Russia and Turkey, but most notably in Italy. The report notes that declining democratic quality across some countries in western Europe has led to an increased support of anti-establishment parties and "strongman" politics on both the left and the right. In Italy, the rise of this type of politics in the form of a populist government coalition between the anti-establishment Five Star Movement and right-wing League party saw the country's ranking plummet from 21st place in 2017 to 33rd in 2018. Anti-establishment politics taking power in countries such as Austria and Italy is "a reflection of the continued failure of mainstream parties to address the concerns and insecurities of significant swathes of the population," the report noted. Italy's government, in particular, demonstrates a "deep disillusionment with political institutions, including parliament and political parties, fed through into increasing support for "strongmen" who bypass political institutions, and into a weakening of the political culture component of the index." The report specifically points to Italian Interior Minister and Deputy Prime Minister Matteo Salvini on both his human rights record and his hardline anti-immigration policies. Recent presidential election squabbles led to Georgia suffering the steepest drop in democratic quality in eastern Europe. Georgia's election was steeped in controversy in a process that the Organization for Security and Co-operation in Europe (OSCE) said was undermined by both sides of the race. "The second round of Georgia’s presidential election was competitive and candidates were able to campaign freely, however one side enjoyed an undue advantage and the negative character of the campaign on both sides undermined the process," the OSCE said in a statement back in November. The particular "undue advantage," both the OSCE and the EIU report noted, was from the country's billionaire former prime minister Bidzina Ivanishvili, whose Georgia Dream party endorsed candidate and now-president Salome Zurabishvili. "Under Ivanishvili's influence, the government intervened in the second-round presidential election, offering a debt write-off to 600,000 citizens two weeks after election day," the EIU's Democratic Index report noted. "This appeared to prove the government with a sizeable campaigning advantage over the opposition." In which countries were rises in democratic quality reported? However, the statistics weren't all negative. Despite the three-year deterioration overall in western Europe, Finland, Germany and Malta did increase their scores in 2018. Similarly, in eastern Europe, "substantial improvements" were reported in Armenia, Estonia and FYROM. Estonia ranked as eastern Europe's best "flawed democracy" in 2018, "owing to a significant improvement in perceived confidence in the government and political parties." How did countries in the European Union rank? Sweden topped the table for most democratic country in the European Union, and it was also ranked third place globally. On the other end of the scale, Romania came in last place out of all EU countries, with Croatia only slightly ahead. What is the democratic outlook for 2019? Euronews spoke with Fiona Mackie, the author of the Democracy Index 2018 report, who spoke about Europe's state of democracy and the continued influence of populism in the year ahead. You can watch Mackie present key findings from this year's report in the above video player. With increasing scores of general populations participating in political discourse, this is generally considered a positive move for democracy, Mackie notes. However, the combination of political participation and populism may actually be a cause for concern. 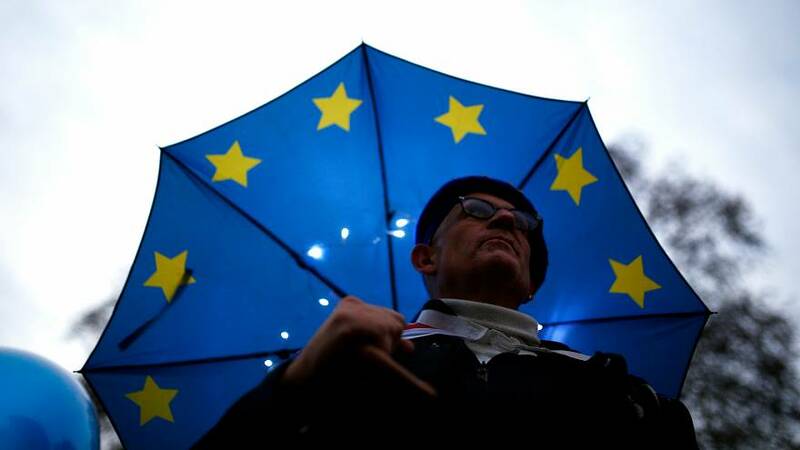 "In Europe, to the extent that political participation has increased because voters have been engaged by populists, there's a risk that in 2019, the gains that we saw in the Democracy Index will actually be reversed," Mackie said. This is "amid increased political polarisation, and a potential deterioration in governance or in civil liberties," she added. Which countries should we watch? When asked which European countries could be top of the Democracy Index's 2019 agenda, Mackie said there would be many to watch. "We'll be looking at populist parties in Sweden, and in Spain. We'll be looking at the relatively new government in Italy, and of course we'll be watching the EU parliament elections closely as a gauge for how populist parties are performing across the region." In her final comments, Mackie said the United Kingdom would be an especially important country to watch due to Brexit, and with particular focus on discussions of a second referendum. The issue of a second referendum "will prove extremely divisive, and could lead to increasing political polarisation, and, ultimately, a loss of confidence in democracy in the UK," she said.